The Seventh Day Adventist Primary and Secondary school students have a lot to be thankful for. On Wednesday, the school held a special assembly to acknowledge the assistance with their new bathroom facilities. The new toilet block caters for the primary school students, while the renovated one is for the secondary school students. 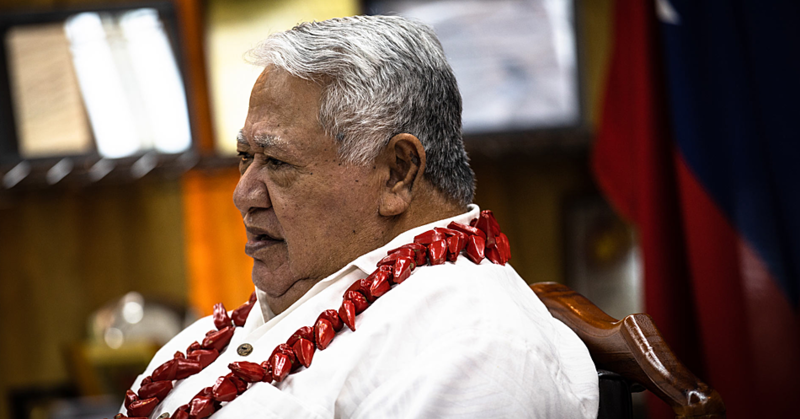 According to Su’a Hellene Wallwork-Lamb, who was involved in funding the project, the request from the Ministry of Health last year prompted the project. “The Ministry of Health visited the school last year and advised the principal that the school didn’t have enough toilets to cater for the increase in the school roll,” she told the Weekend Observer. “At that time, the school had 12 toilets. 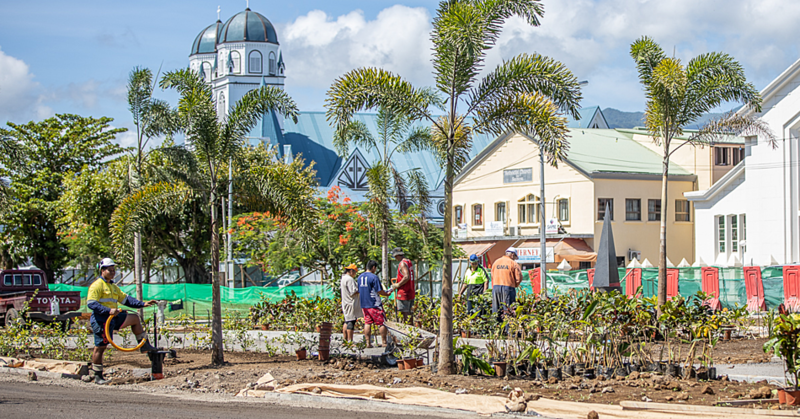 “We have now added 12 new toilets by building a new toilet block for the primary school and totally renovating the existing toilet block for the high school. Sua’s husband, Travis Lamb, acknowledged their overseas partners for lending a hand in the project. “We thank the Chairperson and President of the S.D.A. 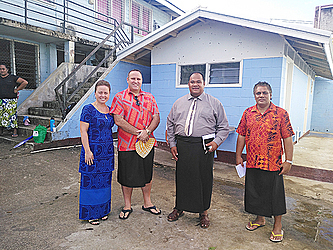 Church Mission for Samoa and Tokelau, Pastor Kenneth Fuliese, for his leadership and for the church contribution in developing this school,” he said. “We are very proud of the Lalovaea S.D.A. School with the excellent results achieved by the students in the 2017 National Exams. The Year 12 and Year 13 classes had a 100 percent pass rate in 2017. He added he and his wife are pleased to assist with the project. “But we didn’t do this by ourselves. We also received generous donations from the kind people at Ray White Remuera Real Estate in Auckland, New Zealand, Megan Jaffe, Ryan Dixon and Steen Neilson. 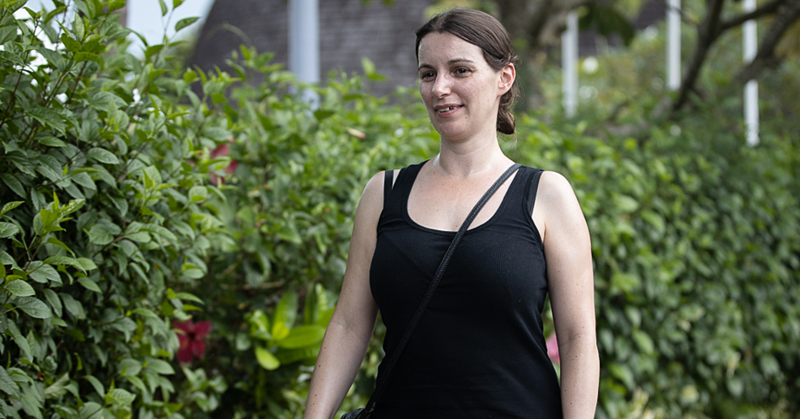 “Megan Jaffe is the owner of Ray White Remuera Real and is the wife of prominent New Zealand Heart Surgeon Dr. Warwick Jaffe, who has been conducting pro bono health services to Samoa for the past 10 years. “We were fortunate that my brother in Auckland, Paul Lamb, helped in arranging the funding programme and promoting our school project to Ray White Remuera Real Estate. School’s Principal, Eteuati Koria, acknowledged the support from their partners.